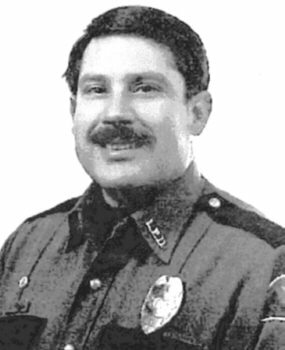 On Tuesday, August 9, 1988, Officer Jack Martin of the Lynden Police Department suffered a fatal heart attack after being involved in a violent fight with a suspect. Officer Martin and his partner responded to a trooper’s traffic stop as back-up. The trooper was arresting a suspect for DUI when the suspect began fighting. Three officers eventually subdued the suspect and took him into custody. After the suspect was placed in the back of a patrol car, Officer Martin collapsed and suffered a fatal heart attack. Martin served in law enforcement for 18 years. He is survived by his wife and two children. On June 3, 2006, the Lynden Police Department opened a new headquarters facility, where they dedicated it to the memory of Officer Martin.